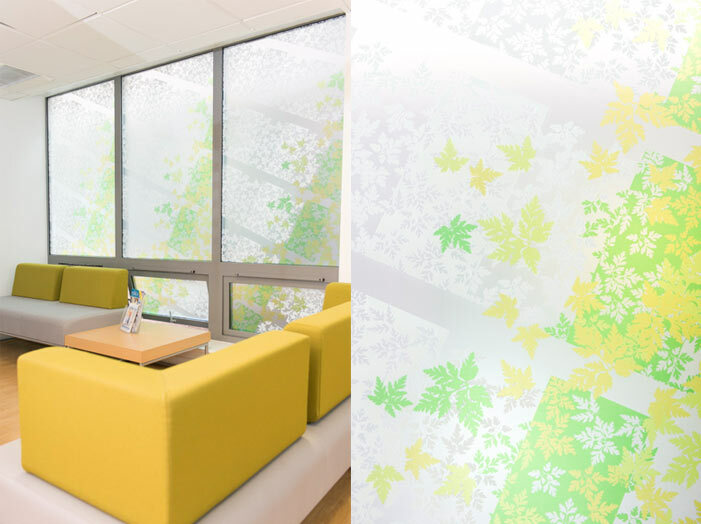 Artist Jacqui Poncelet has designed decorative vinyl for glazing for the Level 2 and day patient entrances to the Heart Centre. Her semi-transparent designs bring pattern and interest to the waiting areas, masking unsightly views and providing beautiful shadow patterns as the sun shines through them. Emma Biggs and her studio have designed a table for the Cardiac courtyard in collaboration with furniture designer Rodas Irving who has also created bespoke benches for the space. Landscape photographs for all single rooms and day rooms in Cardiology and Cardiothoracic wards have been created by sixth form students from Magdalen College School. The pupils spent a year developing the project, working closely with staff to understand the needs of patients. The selection of 56 images was made by both staff and patients.